Dr. Joshua N Goldman, MD is a Doctor primarily located in New Port Richey, FL, with another office in Safety Harbor, FL. His specialties include Female Pelvic Medicine and Reconstructive Surgery and Obstetrics and Gynecology. He speaks English. Dr. Goldman has received 2 awards. The overall average patient rating of Dr. Joshua N Goldman is Good. Dr. Joshua N Goldman has been rated by 42 patients. From those 42 patients 17 of those left a comment along with their rating. The overall rating for Dr. Joshua N Goldman is 3.3 of 5.0 stars. This Doctor shouldn't even be in the medical field, no matter what position. He talks over his patients, doesn't listen, acts skeptical when patient tries to explain symptoms, and doesn't even get all the facts and patient's records before coming to the (WRONG) conclusion! He missed my diagnosis due to him being so arrogant. Embarrassing, being that I myself work in the medical field! Rude and short,- doesn't appreciate having to answer questions. Lousy care. It has been a few years since I had this procedure. I am doing GREAT! Dr. Goldman's procedure of my Hysterectomy is the safest way for women especially with possible cancer that may spread to other organs. Surgeons could put a bag around the organs and chopping device so the cut-up tissue – and any cancer cells that might be present – wouldn't be spread. But adding a bag requires more training and time for surgeons, which would make the procedure more costly. Dr Goldman is the best out there. Ladies do your research. Prior to meeting this doctor I had heard that he was one of the best and most qualified doctors available to meet my medical needs. After spending some time with him I had real concerns that he may not be able to meet my needs. I needed a hysterectomy and he explained quite bluntly that the doctor I had seen prior referred me to him because I was not the ideal candidate for surgery. He kept it coming with more and more demeaning comments, down playing my symptoms. He must have failed to look at my employment status or insurance because he would have noticed I have been an RN for 25 years. The staff were preoccupied with wedding plans and venue. It was a disappointment all around. It's doctors like this that keep people from getting the medical care they need. I find Dr. Goldman to be conscientious. I am confident in his surgical abilities, as I have had 2 minor hospital procedures. He is never rushed with me & has even set aside office time & discussed a plan to meet my medical needs. As a retired RN, of 30 + years , in my judgement from expoure to many physicians, I think he tries to genuinely do his best for my medical needs. His knowledge base & self confidence can appear to some as arrogance, but feels apropos to me. Take a minute to learn about Dr. Joshua N Goldman, MD - Obstetrics and Gynecology in New Port Richey, FL, in this video. Dr. Joshua N Goldman is similar to the following 4 Doctors near New Port Richey, FL. 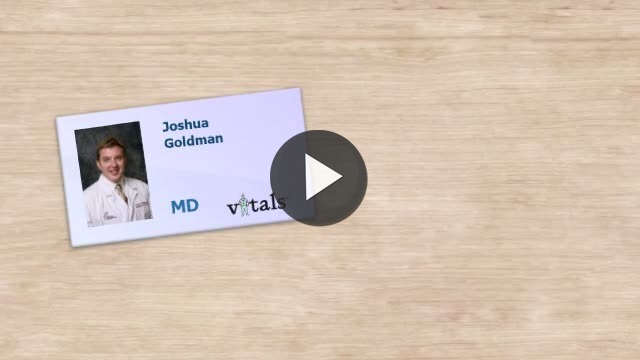 Have you had a recent visit with Dr. Joshua N Goldman? Select a star to let us know how it was.